Initially revealed last November, Tamashii Nations is now teasing out the official release of S.H. 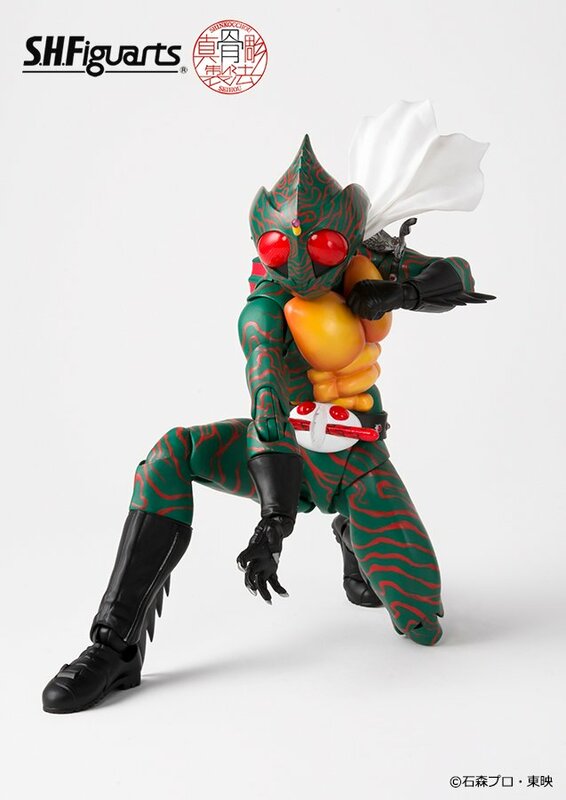 Figuarts Shinkocchou Seihou Kamen Rider Amazon! From the @t_features twitter account, Seihou Amazon will be on display beginning tomorrow (March 31st) at the Akiba Showroom. This fact combined with the new official image released, would definitely add up to this figure receiving confirmed release details in the immediate future. The clock is ticking now, we should have concrete information on this incredible release soon! 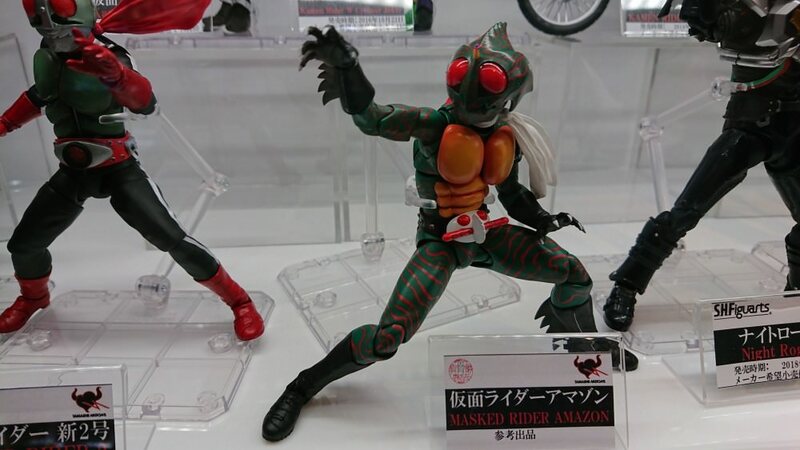 From the Tamashii Twitter Account comes an official tease at the release of Shinkocchou Seihou Kamen Rider Amazon, who was revealed at last year�s Tamashii Nations event. According to the tweet the figure will be displayed at the Akiba Showroom tomorrow, March 31st. I wouldn�t be surprised if we will learn about the release date there, Shinkocchou Seihou Rider 1 had his revealed the same way. Oh man, I can't wait to get my hands on this guy. Just a couple of months ago I was contemplating throwing down money for the old one but it looks like I won't have to. 1, 2, Amazon and Black/RX. We've got a couple more Showa guys (I'd say the movie Showa Riders are fine by modern standards) that need renewals before we have a pretty nice lineup of updated Showa Riders. I'd be curious to see how they'd handle Riderman. This makes me REALLY happy that I've held off on the original. I don’t see a release date printed on the card. But as Den-O said, if they have the official pictures ready it can’t take that much longer. My guess is that they put it up for pre-order in May to go along with the Amazons movie. Though I'm not a Figuarts guy, I'd be lying if I said I haven't been tempted by every Shinkocchou Seihou release thus far. They're cracking out some absolute gems. Amazon, though, is the first one I literally can't talk myself out of. 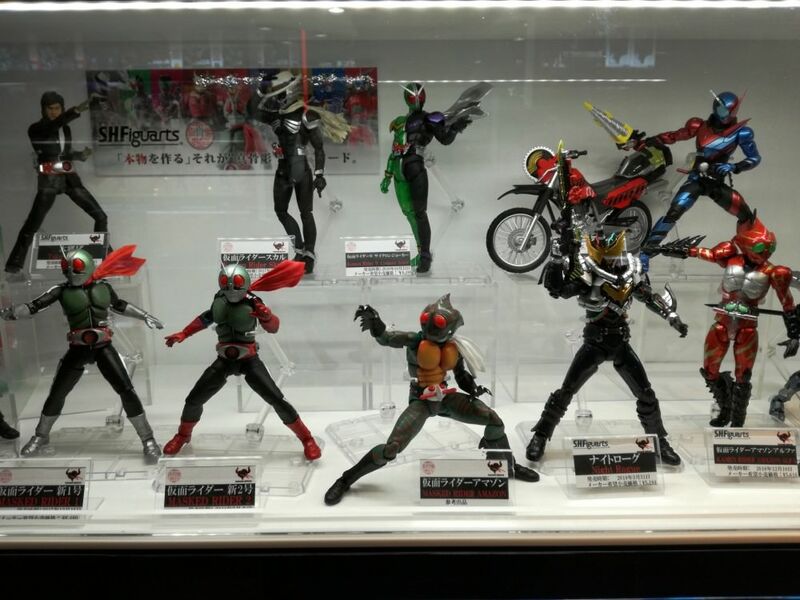 My kingdom for SS Riderman and Akumaizer 3. So yeah, Amazon looks fraggen amazing. Depending on release date I'm going to have to do a lot of deciding if I want him or not. Oh yeah it's coming. No doubt about it. 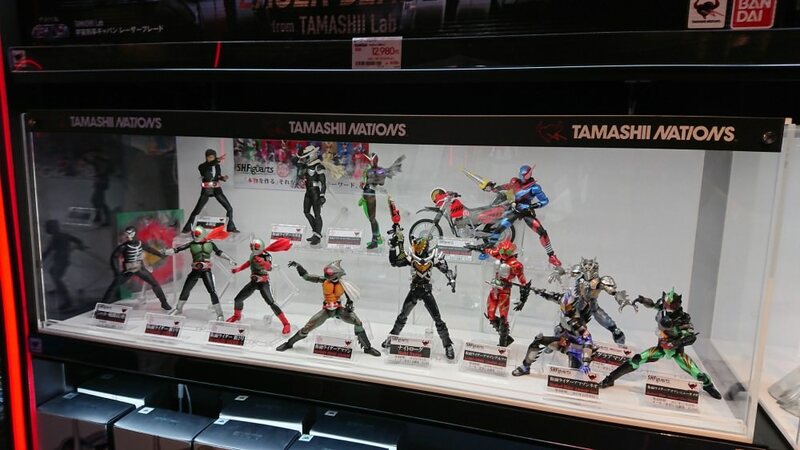 Tamashii wouldn't be debuting official images like this without impending release plans. I'd wager somwhere around May for orders to begin as well. I second the Akumaizer 3!! And Seihou's are magnificent. Having picked them all up so far, I haven't handled a single one that failed to impress. Hopefully, that Wizard they showed isn't too far behind. But usually once a main Rider gets a prototype, it's only a matter of time.